Artwork for Humber advertisement for 80 Sports Saloon in 1933. 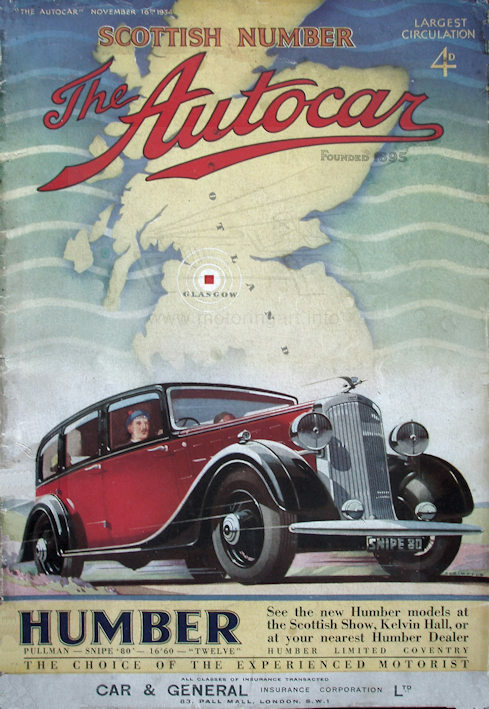 Also some excellent work for Hillman Wizard sales brochure 1931. 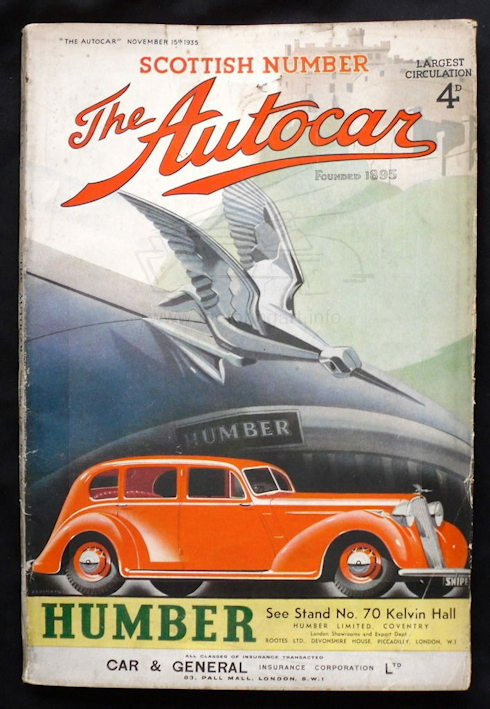 Front cover design for The Autocar magazine 27th May 1932 Hillman Minx 10/30, also later cover designs for Humber cars in 1932. Still doing Humber work in 1936. See lot 76 in Brooks sale 13th June 2002 for details of Bean posters.